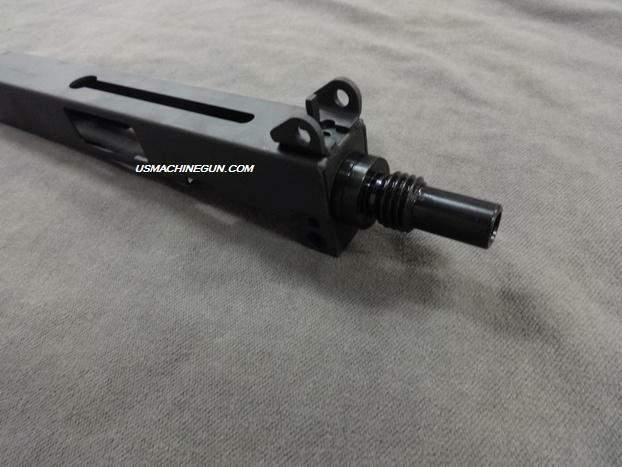 This replacement upper is ready to be dropped into your M-11 9mm Semi Auto or SMG. It comes with a 9mm 3/4x10 threaded barrel for a M-11 SWD and has the standard front sight on it as well. Bolt, bolt handle and other parts sold separately. Also fits Master Piece Arms mid sized 9mm guns.